A professor at the Massachusetts Institute of Technology devised a clever way to detect student cheating on homework in his introductory physics course—and found about 50 percent more cheating than students reported in anonymous surveys. And he discovered that frequent cheaters ended up bombing their exams. The professor, David E. Pritchard, led a research team that analyzed student performance in an online homework system called MasteringPhysics.com during four different semesters. The researchers were able to measure the time spent on each question and look for suspicious work patterns. If a student took less than a minute each answering several complex questions and got them all right, for instance, the system flagged that as likely cheating. “Since one minute is insufficient time to read the problem and enter the several answers typically required, we infer that the quick-solver group is copying the answer from somewhere,” said the researchers in a paper due out today in the free online journal Physical Review Special Topics–Physics Education Research. The interesting part of this story for most is how the study correlated the consequence between cheating students and their test grades. Interesting stuff, but perhaps no great surprise. If you don’t study and don’t do your homework, how could you assume that anyone would do great on tests? From my perspective the study, while interesting, revealed attitudes that showed ethical deficiencies. 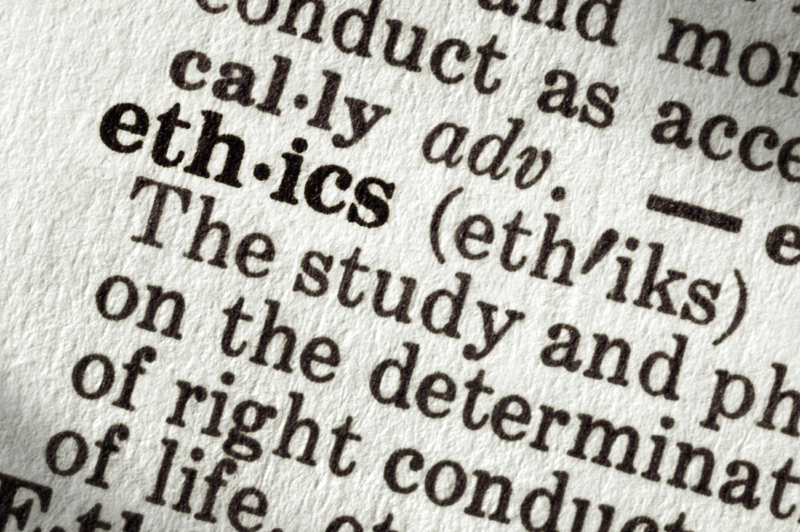 When there is an ethics lapse, review will generally reveal three components – NEED, OPPORTUNITY and RATIONALIZATION. So lets look at other parts of Mr. Young’s article and see what we can find. Researchers found that the culprits typically copied answers from friends, by logging onto a friend’s account on the system to copy work or by getting answers via e-mail or instant message. OPPORTUNITY – how the students cheated showed that it was not sophisticated. Rather, the likelihood that a student will cheat is related to the ease in which one might do so. In other words (less academically put)…if OPPORTUNITY is present, students (under pressure) will choose to cheat. More students cheated later in the semester than in the beginning, and many students surveyed said that time pressures led them to copy a friend’s work. Mr. Pritchard said that many professors turn a blind eye when students cheat on homework. “A lot of people are willing to forgive copying because they think those students are weaker— that they work as hard but just aren’t as able to get them,” he said. But he said their research showed that cheaters were most often those who waited until the last minute to start the work and that they copy answers before even trying the problems. If you wish to reduce fraud, remove one of the legs – then it can’t stand. The same is true when it comes to cheating in school. Whether it was part of his model, in effect the professor involved removed one of the legs – HE CHANGED THE TEACHING MODEL. The professor said he did find a way to greatly reduce cheating on homework in his class. He switched to a “studio” model of teaching, in which students sit in small groups working through tutorials on computers while professors and teaching assistants roam the room answering questions, rather than a traditional lecture. With lectures, he detected cheating on about 11 percent of homework problems, but now he detects copying on only about 3 percent of them. What Theory of Business Ethics do you follow? University Business Ethics Speaker Chuck Gallagher comments! While standing in line for a dinner/reception at a well know Canadian University (I was there as their keynote speaker for a business ethics symposium), the Dean of the Business School asked me – “What theory of business ethics do you follow?” Most of the time I’m fully prepared to answer questions posed about ‘ethics’, but in this case – that question caught me off guard. The look I received in response was – priceless. “I see,” he responded and from there the discussion seemed to change direction. The next day it all made sense – not only to the Business School Dean, but the students in attendance – as I walked in dressed in an orange jump suit and handcuffs. (you can see some of my presentation here). As I explained I took 23 steps from the curb into federal prison, it became clear that every choice does have a consequence. And, as I explain, the choices you make today create the consequences you experience tomorrow and into the future. The other day, I ran across an excellent article that outlined different theories of business ethics in “the star online” – the full article written by John Zinkin is here. The following is a reprint of excerpts from the various theories of business ethics he espouses. Thanks and credit to Mr. Zinkin for his work. These are pragmatic, weighing probable consequences and the likelihood of achieving given outcomes, often regardless of how the ends have been achieved. People practising this type of ethics will argue that the ends justify the means. The merit of this system is that at least any decision being taken can be assessed in terms of whether it will achieve the desired ends; and if it fails this basic test, then it should not be taken. However, there are two problems with this approach. First, it does not recognise that organisations need codes of conduct and rules to help people to make predictable and consistent decisions. Second, it can lead to a failure of “Tone at the Top” with people encouraged to “do whatever it takes” – the kind of thinking that contributed to the recent failures of governance in Wall Street that have hurt us all so badly. These are a more moral extension of Machiavellian ethics, where the outcomes are weighed up by calculating how to “achieve the greatest good for the greatest number” for both the company and its customers. Principles are important only as rules of thumb. The problem with this type of approach is that it encourages the tyranny of the majority and can lead to ignoring the needs of minorities and so be used to justify persecuting minority shareholders, which is poor governance. Rules-based ethics (associated with the German philosopher Immanuel Kant) go one step further in that they also consider the effect actions have on the rules of the organisation and whether they adhere to given principles. This approach tends to be bureaucratic and perhaps overly legalistic, sometimes with a rigid adherence to the rules without due regard for particular circumstances that may justify exceptions. Of course, the problem is that if there are too many exceptions or waivers, the rules themselves and the system they represent are discredited; outcomes become unpredictable; and corruption and free riding are encouraged. Social contract ethics recognise the need for mutuality and reciprocity if companies are to flourish: both within the organisation itself, where “Do unto others as you would be done by” is as good a rule as any for behaviour, and between the company and the community it serves. They also recognise that no company is an island and it must therefore behave responsibly towards the community, minimising the external costs the company creates, lest it create a “tragedy of the commons” with its associated risk of systemic failure. The problem with this type of approach is when it leads to the kind of loyalist, tribal thinking within a profession so that bad practices are covered up and justified in the name of loyalty to the group (a favourite topic of films with rogue cops who are protected from Internal Affairs for example). Third, they may be based on intuition driven by conscience – asking the question “will I be able to sleep at nights” when making a decision. Obviously it is important that board members must be personally comfortable with the decisions they are involved with. The problem is that often people who decide on Personalistic ethical grounds become impatient with other people calculating what to do using either a rules-based or utilitarian approach, and may be uncomfortable with Machiavellian thinking. SO – WHAT THEORY OF BUSINESS ETHICS DO YOU FOLLOW? Having spent time in federal prison for unethical choices…I stand by my response to that question. I follow the theory of ethics and choices that keep you out of prison. For close to two years the folks at the University of Louisville have had to deal with the repercussions of their former dean of the College of Education and Human Development, Robert Felner’s fraud. Felner is pictured to the right in the blue stripped tie. The grand jury’s indictment of former dean Robert Felner confirmed our initial concern of wrongdoing in the management of federal grant funds in the College of Education and Human Development. The University of Louisville brought this information to federal authorities last spring. We continue to work with the federal agencies on this investigation and look forward to its conclusion. We have confidence that the judicial system will take the next step and reach a verdict based on the evidence. Reviewing internal control processes, including an audit of the finances of the College of Education and Human Development. Conducting an external audit of the university’s grants management and contracts practices. Establishing a committee to review managerial and administrative practices at the request of the faculty, staff and student senates. Reviewing the university’s policies and procedures regarding conflicts of interest. Appointing a blue ribbon committee to investigate the alleged improper awarding of a doctoral degree. Creating a new office to field employee concerns and grievances. Visiting frequently with affected faculty and staff and updating the university weekly on actions taken. Updating members of the media on a regular basis. While the past few weeks have been difficult for the university community, we believe we have taken the necessary steps to address the issues that have surfaced and to begin the healing process on campus and in the community. We have been supported by our faculty, employees, students, donors, retirees and the many friends of the university. As a business ethics and fraud prevention speaker, I frequently talk about the three components of fraud – NEED, OPPORTUNITY and RATIONALIZATION. If any of these three components are absent, the fraud can’t take place. Notice the first item that the University President stated was a review of their internal controls. While many scoff at the mention of internal controls, the fact remains, that in any business, effective internal controls are the number one deterrent to fraud. Here’s a reality check, as a former fraudster (not something I am proud of), I know that had even reasonable internal controls existed, I would have had enough of an obstacle to prevent the actions I took (so many years ago). I applaud the actions of the University President and hope that soon this ugly chapter will be behind them. Robert Felner, hailed as a grant rainmaker, found himself drowning in a sea of his own doing. 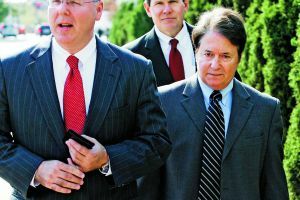 Last week, through his Attorney, Robert Felner pled guilty in a case in which he and a colleague are accused of defrauding University of Louisville and another university out of $2.3 million. Hailed at the outset by University administrators as a change agent, citing him as the driving force behind a spike in grant money at the school. School officials now know that Felner is, not only a thief, but was directly responsible for only a fraction of that windfall. 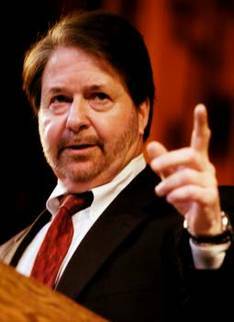 A federal grand jury in Louisville indicted Felner and his co-defendant, Thomas Schroeder of Port Byron, Ill., in October 2008, charging Felner with 10 counts of mail fraud, conspiracy to commit money laundering and income tax evasion. Schroeder was charged with conspiracy to commit money laundering, mail fraud and conspiracy to defraud the Internal Revenue Service. Government prosecutors allege that over a seven-year period the men used the Illinois-based National Center for Public Education and Prevention Inc. they created to defraud University of Louisville and the University of Rhode Island, where Felner was involved in another research center he helped create. The government alleges the men used the Illinois center, which lists Schroeder as president, to divert funds owed to the two universities, siphoning $2.3 million. The money was deposited in several bank accounts, including one that Felner told federal officials he set up in Louisville in the Illinois center’s name. While Colleges and Universities across the nation are working to make sure that “ethics” becomes a fundamental core part of a business education, it seems that on every turn headlines are showing the frailties of the human condition and that even well educated folks can succumb to temptation and do unethical things. Unfortunately, this will be yet another example of ethics gone awry. Every presentation I make to university students, from the University of Florida to University of South Dakota, to Long Island University to Baylor, I begin with the following statement: EVERY CHOICE HAS A CONSEQUENCE. Felner and Schroeder are now living the consequences of their choices. If there is a bright spot, hopefully the students at these universities will gain a better perspective on the effect of choices and consequences. Perhaps, just perhaps, the students, being exposed to the media attention, will connect the dots and take the ethical high road when exposed to temptation. I’m all for second chances — so much so I even started a foundation to encourage others to find theirs. So when I read that Marilee Jones had started a new life as an admissions consultant, I really wanted to cheer her on — especially given all she’s had to overcome, even if as a result of her own poor choices. A little over two years ago, Jones resigned as dean of admissions at the Massachusetts Institute of Technology (MIT) after it was discovered she lied about her academic credentials nearly 30 years before. Still, everyone deserves a second chance — right? — and, today, Jones has reemerged as an admissions consultant who delivers this message to parents: Academic glory isn’t the be all-end all; it’s your relationship with your child that matters most. So far, so good. But here’s something that raised my eyebrow: Jones hired a public-relations consultant, Rose Marie Terenzio, to help with her comeback. Terenzio’s first order of business was getting Jones to volunteer at Columbia Presbyterian Hospital, where she could help teenage cancer survivors move on to college. However well-intentioned, these steps seem just a little too manufactured. Here’s hoping I’m wrong. The fact is, facing the truth and operating with honesty, integrity and ethics will serve Jones well — she doesn’t need a PR firm for that. Based upon her own choices, she can now be true to herself and use her experience as a positive framework for helping others. Through that she will receive her SECOND CHANCE! What do you think of Marilee Jones’ comeback? Too soon? Or just in time? Share your comments here. Given the increased complications junior officers face and what was seen as a gradual deterioration in moral and ethical standards of behavior within the government, the class of 1948, at their 40th reunion, felt that the Academy graduates should have the best foundation possible in the humanities, government, integrity, ethics and political judgment. Furthermore, they felt that Academy graduates must be outstanding citizens, as well as good officers and leaders. These words reprinted with minor modification are part of the program for the 20th Annual Coast Guard Academy Ethics Forum. As a business ethics speaker with strong ties to University and higher education presentations in ethics, I was honored to accept the invitation to speak to the United States Coast Guard Academy for their ethics forum. Knowing that every choice has a consequence, I feel that it is part of my calling to remind, if not impress, on the minds of young adults the critical importance of understanding that consequences always follow choices made. While many people cannot imagine making choices in life that can lead to disastrous consequences, the reality is we all are vulnerable to temptation and as soon as we say it will never happen to me, the likelihood is that a test of integrity or ethical decision making is headed your way. Many of the cadets attending seemed to get the message, knowing that they are being groomed to be responsible for lives of US citizens and property of the US Government. Prior to my presentation, many exceptional people (speakers and presenters) were assembled to make this 20th annual event memorable and effective for the participants. A keynote presentation, made on opening night by Rear admiral William F. Merlin, was a highlight and set the tone for the event for the cadets. Rear admiral Merlin spoke of (1) greed and (2) hubris – as the foundation of unethical behavior. As I listened to his comments, I had to apply them to my own personal story, which I openly shared with the cadets in my presentations today. While I didn’t start my venture into unethical behavior with greed in mind, I honestly must say that “greed” took over and “hubris” became the word of the day. I was, self defined, as the smartest man in the room and felt that somehow the rules didn’t apply to me. Wrong. The rules do apply to me and to everyone else. In fact the one rule that sticks out now most is the rule – you reap what you sow. That’s true. I did. Prison following bad choices was the consequences of my sowing – so to speak. Rear admiral Merlin completed his comments with one more word – humility. Again, his words spoke directly to me. When the illusion I had created was dissipated – the bubble burst so to speak – I was faced with the daunting task of telling my wife, family, business partners and friends that I was no more than a liar and thief. There is nothing more humbling than speaking the truth and knowing that the illusion of success was gone. Yet, as difficult as it was to communicate that truth, it was also freeing. Unencumbered by illusion, I was able to make new empowering choices that (like all choices) would have a profound consequence – only this time in a positive manner. Perhaps, though I may never know the impact, the words spoken in my presentations and those of others – may – just may – have an impact that is positive. Before I took those 23 steps into prison – I thought I made good choices. After I became 11642.058 (my prison number), I understood that every choice has a consequence. If you want positive results in life you must build a foundation of good choices. Before I took those 23 steps – I lived life as an illusion. After I became 11642-058, I came to know that truth is freeing and though painful at times will always support a foundation of trust which is the backbone of all relationships. Before I took those 23 steps – I thought I was successful. After I became 11642-058, I came to understand that success has nothing to do with the things we amass, but rather success in life is defined by the impact we have on those we come in contact with. Make wise choices – look past life’s illusions and claim your success by making a difference in the lives of those come in contact with. As future lea ders, we, the people, are placing our trust in you! As a side note, the US Coast Guard Academy is listed as one of the top schools in 2009. Congratulations.